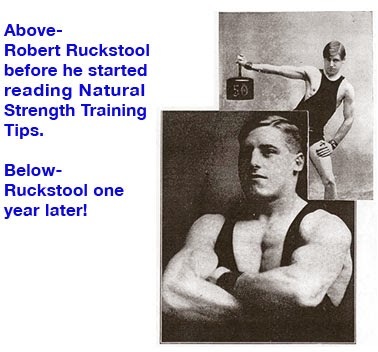 Originally posted on NaturalStrength.com on 27 July 2002 *Illustrations are randomly selected from the book (too numerous to post them all) and are not necessarily from the same chapter. To the average young man there is no subject quite so fascinating as a discussion of physical strength. You can prove this to yourself any time you care to start a discussion among your friends. All you have to do is to remark that a certain acquaintance of yours is certainly the strongest fellow in town. Immediately all your friends will want to know just how strong he is, and each man present will insist that he knows a fellow who is "terribly strong." Claims and counter-claims will be made, and before you know it, the discussion will have taken a new turn, and those present will be talking about the great "Strong Men" of past and present time. 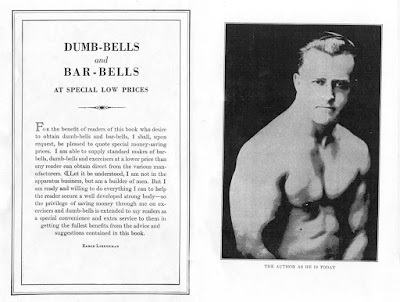 You will be told of feats of strength performed by unknown men which would put Samson and Hercules in the class of the "also-rans," and you will hear of men so prodigiously developed that that giant, the late Louis Cyr, would have seemed small by comparison. Eventually and inevitably the talk will veer around to the question of "What makes a man strong?" and then you will hear some of the most fantastic beliefs and theories that the mind of man can conceive. Among the uninformed, the general consensus of opinion is that either a "Strong Man" is "born strong" or else that he is in possession of some mysterious secret, or secrets, which account for his phenomenal strength. How do I know all this? Well, because I have "listened in" on many such a confab. Why, once while on tour, I went to get shaved in the barber-shop of a small-town hotel. The place being full I had to wait my turn. One of the other customers, while getting a hair-cut, was reading a copy of a well-known sporting paper and came across the picture of an amateur "Strong Man" lifting an apparently heavy weight. He showed the picture to his barber and soon all hands were engaged in the usual argument about strength and muscles. The names of great strength-athletes were mentioned, and, to my surprise I found that I had a champion. This lad said, "I tell you the strongest of the lot is that feller, Earle Liederman in New York." When pressed for his reasons he explained that he thought I had the "grandest arm" of them all. Now, according to all the rules, that should have been the cue for me to step forward, roll up my sleeve so as to display the arm in question, and say, "Behold! I am he" - or something like that. Whereas what I actually did was to remain in the background and keep my mouth shut. For I know what these "Strong Man" fans are like. If I had butted into the conversation, they would have kept me there an hour answering their questions. There really is a tremendous curiosity about "Strong Men" - their lives, measurements, feats of strength, and particularly their methods of training. And if one chap picks up enough courage to accost the "Strong Man" and engage him in a few seconds' conversation, then that chap has something to brag about. In the future whenever the great athlete's name is mentioned, he will say, "Oh! I know him. Let's see! The last time I talked to him was when he was here at the _____ Theater." 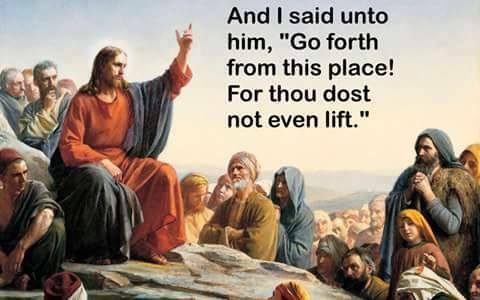 But, really, any great "Strong Man" will tell you that when on the road, he holds a continued reception. In the towns he visits local physical-culturists will ask for introductions to him, seek interviews with him, and beg for signed photographs. If an interview is granted, the visitor, after the usual expressions of regard and admiration, will say, "Tell me, Mr. So-and-So, what did you do to get so strong?" Just as if the athlete, who has probably spent years in perfecting his body, could, in a few sentences, tell a beginner how to become equally strong and well-built! But there it is. Notwithstanding the fact that the average young fellow, will in conversation, loudly proclaim his belief that all "Strong Men" are "born that way," and at the same time express the opinion that he - the speaker - could never become very strong, nevertheless, he has a secret conviction that if he only "knew the inside" - could find out the trade secrets - that he could be just as strong as the strongest of them all. It would be impossible for me to tell you how many scores of thousands of health-seekers I have trained, but I would be willing to bet that at least fifty thousand individuals have written me letters telling me to lay out their courses so as to make them as strong as possible. It is just as natural for a youth to wish to be powerfully developed and tremendously strong as it is for a girl to desire great beauty of face and form. But just the same it is impossible for me to describe the training of a "Strong Man" in one short letter, or in one brief interview, as it would be for a champion boxer to tell all the details of his art in a half hour's talk. That was my main reason for writing this book. It gives me the opportunity to supplement the instructions I give in my courses. For when a man first starts his training, it is necessary to confine his work to definite exercises, which are designed to develop the individual muscles, to shape and strengthen the whole body, and to promote a feeling of health and well-being. The first few months of an exercise program are devoted to what you might call foundation work. Monotonous and tiresome (sometimes), but necessary if a structure of great strength is to be reared. The acquisition of really great strength, that is to become as strong as yourself as two or three ordinary men, is a problem which requires special training, patience and knowledge, particularly knowledge. 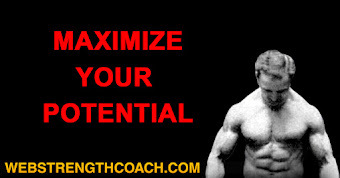 Remember, the first thing asked of an expert is, "What shall I do to become strong?" 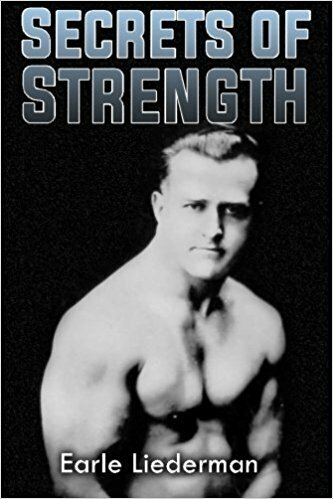 In another book of mine I gave a description of the various exercises used by "Strong Men" to develop their tremendous muscles. But every one who has given the matter any thought, realizes that there is more to strength-building than just exercise alone. 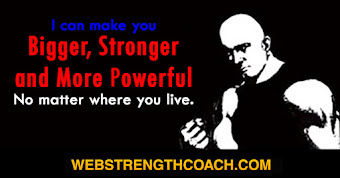 If your body is to grow steadily - to develop from the undeveloped state of the average man, to the beautifully shaped and terrifically powerful physique of the real strength-athlete, you must learn to regulate your training so as to get that proper balance between exercise, recuperation (sleep) and nourishment which makes for the greatest possible progress. 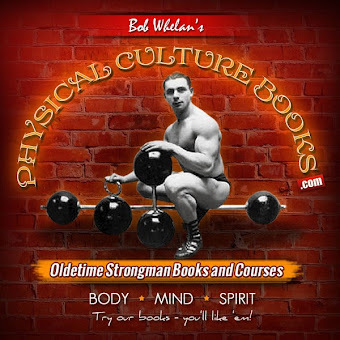 I have associated so much with "Strong Men" that I have had every opportunity to observe and study both their physical characteristics and their training methods. Much of what I have learned is told in the pages of this book. At that, I feel that I have not told the half of it, although if you will look at the chapter headings you will find that I have dealt with almost every factor relating to strength. The fact of the matter is that these men most famous for their strength are not only immensely powerful, but are also what you might call "virtuosos" in the strength line. Most of them are experts (a) in the creation of muscle, (b) in the kind of training that at once creates and conserves energy, and (c) in the scientific application of power. The amateur physical-culturist can, therefore, learn a great deal from the experience of the professional. I feel that I am qualified to speak with some authority on the methods of professionals because, in the first place, I was for several years before the public, doing a "strong-act" in vaudeville; in the second place because ever since my early manhood I have been intimately associated with many of the most famous "Strong Men" of modern times; and lastly, because I have been successful in the work of aiding thousands of men and boys to achieve the glory that goes with great physical strength. It is quite natural that magazines devoted to physical training should be illustrated with pictures of finely developed men. But I can remember when, not so very many years ago, even the biggest magazines were lucky if in a single issue they could show pictures of even as many as half a dozen really well-built individuals. Nowadays the supply of such pictures is almost unlimited. Why, I myself issue periodically reports from my pupils, and each little folder shows the pictures of dozens of amateur pupils of mine; many of whom compare favorably in development and strength with the best professionals. In fact I have on hand enough unpublished pictures of fine physical specimens - contributed by my own pupils - to illustrate all the numbers of a magazine for years to come. Which, if it means anything, is some proof that I have had some success in handling strength cases, even if the bulk of my business is with individuals who are primarily health-seekers. The seeker after great strength is necessarily in an advanced class. Usually he is a young fellow, who, having built up his body and increased his development rapidly through devotion to his daily exercise, comes to the point where he wishes to be able to exert the strength which is warranted by his big muscular body. 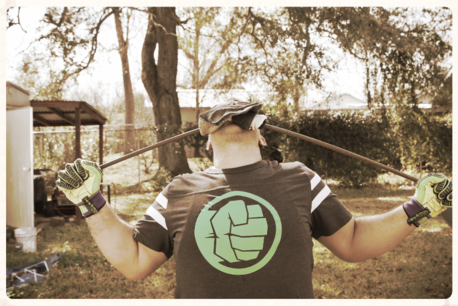 He knows that his exercise has fully justified itself, because he feels better than ever before in his life. Besides that, his improved proportions have attracted a lot of attention and favorable comment. Especially, his muscles seem to excite curiosity; his friends remark on their size and shape; and usually wind up by expressing their belief that he must be very strong, and further asking him to display his strength. Quite naturally, the young athlete wishes to impress others by his strength as well as by his development. That is the stage which some of my ambitious pupils have reached when they write to me for further help and advice. From their letters I can tell that what they expect is more and harder exercises. Whereas, what is really necessary is some tips on advanced methods of training. Such, for instance, as the necessity of building up great reserve energy through the avoidance of too much exercise. Or on the great importance of strengthening any weak links in the muscular chain. Or, perhaps, on the necessity of better (though not necessarily more) nourishment. If, however, after diagnosing a pupil's needs, I were to sit down and write him a ten-page letter, dealing with any one of the three requirements above mentioned, he might be disappointed. For, instead of getting more exercises, he would be getting unexpected advice on just one phase of strength-creation. Because he would be getting only one angle he would be unable to see the whole picture - the subject in its entirety. 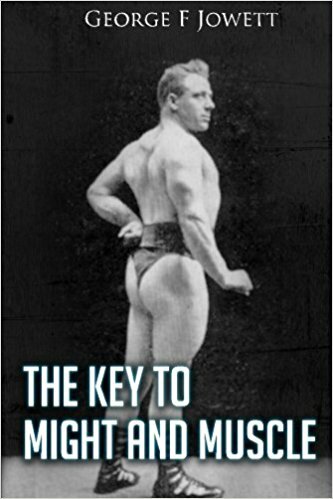 So, I decided to write a book in which I could present the whole subject; and give my pupils - and the public - a better understanding of the many details of muscular development, symmetry of body, quality of fibre, nerve force and athletic skill, which, when found or developed in one man, make him a physical super-man. I have two great articles of belief, the first being that the average young man can become very much stronger than he has any idea of; and the second, that if an aspirant follows the advice given in the following pages he can attain great and permanent strength without any danger of overstrain, of staleness, or of loss of speed or energy. I might even say that great strength is possible for any young fellow unless he happens to be hopelessly crippled. Even those who are lacking in size, in vigor, or who suffer from minor diseases, can first overcome their weaknesses by the medium of corrective, developing and invigorating exercises; and then, after the bodies have become properly shaped and muscled, can acquire that great strength which is the crowning glory of true manhood. I have seen so many weaklings become "Strong Men" that I have become convinced that the capability for possessing great strength is within all of us. And that any man, however weak, can become very strong if he has the ambition, the persistence and the knowledge. While I cannot give you the first two, I feel that I can help out on the information. I know "Strong Men" of almost every conceivable size and shape; from big-boned, massive giants, down to little "five-footers," who, though small-boned, are masses of muscle and energy. 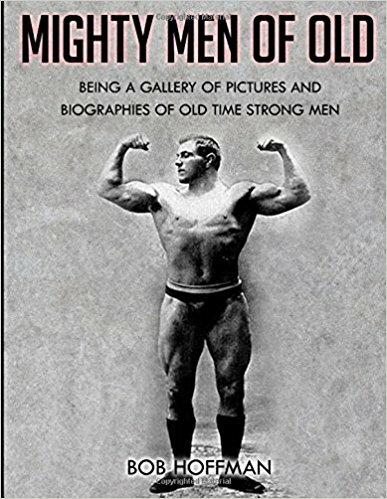 And, between those two extremes, men of all the intermediate stages of size, whose one common possession is that distinctive beauty of form and high degree of muscular development which marks the true "Strong Man." So, in conclusion, if you are one of that ever-growing army of strength-enthusiasts, I can assure you that physical power can be yours; but that the road to strength is easier, and can be traveled quicker if you avoid the stumbling blocks, and keep out of the ruts. Here is hoping that some of the information given in this book will make the road smoother for you.